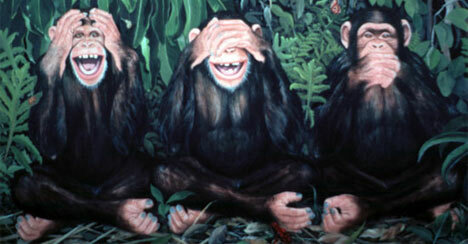 Mizaru covers his eyes, Kikazaru covers his ears and Iwazaru covers his mouth — these are the three monkeys that we actually refer to when using the old adage “See No Evil, Hear No Evil, Speak No Evil.” In Japan, this is known as the Golden Rule. No matter what your Golden Rule is — it does not mean compromising your values or attacking someone else for theirs, even if you are the Mayor-President. Mayor-President Kip Holden seems to have sided with a group which has a specific agenda in wanting the citizens of EBR Parish to ‘accept’ and ‘integrate’ people of all orientations, and in particular those of all sexual orientations. Christian leaders took the opposite stance via the Family Research Council and Louisiana Family Forum along with local pastors and citizens who made pleas to the Metro Council and Mayor to NOT adopt the resolution. This is probably why the resolution FAILED. None of these groups preach hatred or are ungodly. They simply stand for the biblical principles they believe in. 2008 is an election year for the Mayor-President. Will Mayor Holden continue to push his ‘One Baton Rouge’ on the citizens of EBR Parish in an election year if it means losing the support of Christian conservatives?